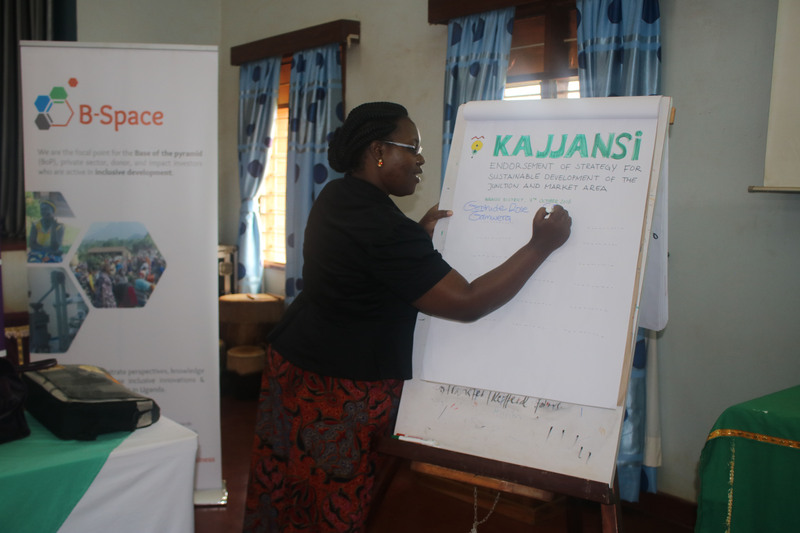 Kajjansi is a town in Wakiso District and nowadays integrated into the greater Kampala Metropolitan area, in Uganda. 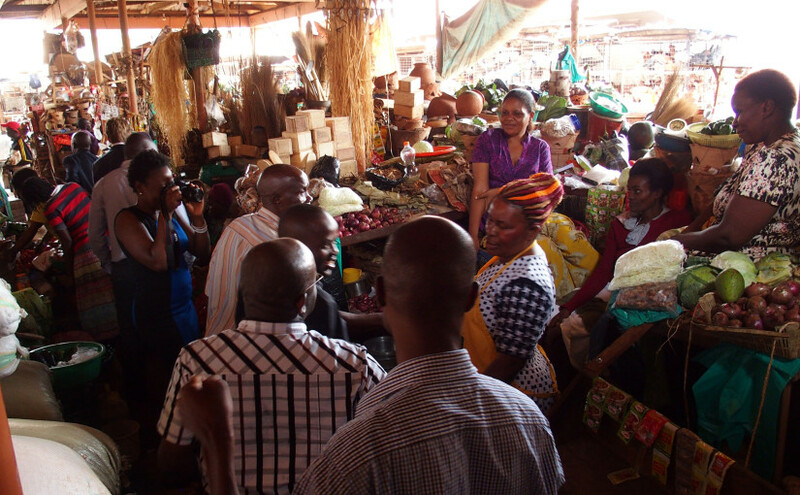 The Kajjansi area was always known for its market along the main connecting road from Kampala to Entebbe. It is now no longer only about the market since currently a junction is being built at Kajjansi, connecting Entebbe-Kampala Road to the Southern Bypass and the new Entebbe Expressway. Combine this with the planned Bus Rapid Transport System terminating at this place and one will see this creates a major change, challenges and opportunities for the area. During the week of 3-7 October several co-creation sessions and a concluding strategy session with governmental partners, local authorities and stakeholders, DASUDA, TwentyOne and ULGA have defined together a strategy for the future development of Kajjansi Junction while maintaining the local quality, considering the three main aspects of mobility, urban development and inclusive business. The Kajjansi Junction has been analysed as part of a mobility network connecting Kampala and Entebbe. In this network, Entebbe Road can become an urban boulevard with public space, pedestrian friendly areas, accessible street front because the new Entebbe Expressway is going to be opened soon, opening up space at the Kajjansi area. This can also be transformed to integrate a public transport system into the street section in the future. Nevertheless in the current situation the Kajjansi market at Entebbe road is under pressure due to the construction of the new bypass and risks to become inaccessible, disconnected and bypassed. The strategy for the urban development of this area should create an added value that will lead to an addition to area-budget, cross subsidy solutions and sustainable and social development of an integral city node. 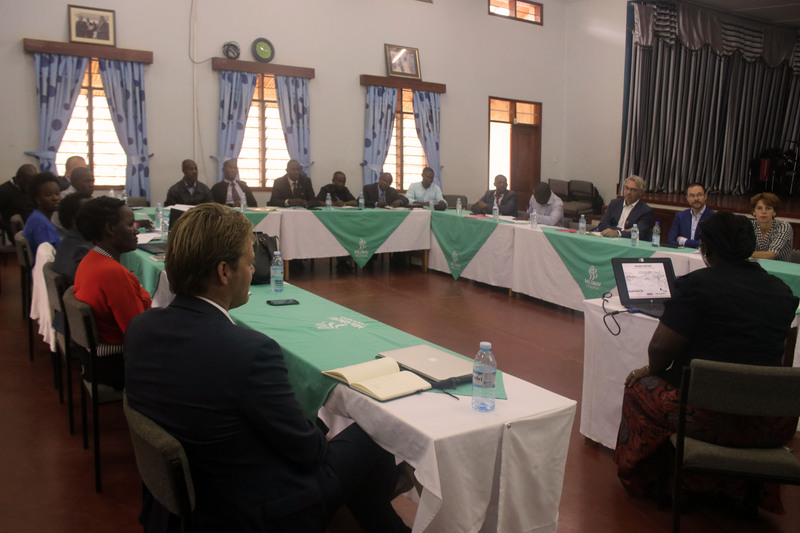 At the end of the week all the stakeholders were invited to endorse the strategy for Kajjansi Junction area development and to take responsibility for the next steps.